We provide dental services for all ages and love to build long-term relationships with our patients throughout Helensvale, Pacific Pines, Hope Island, Arundel, Coomera, Oxenford and the rest of the Gold Coast. All our dentists are preferred providers for BUPA, HCF, Medibank Private and CBHS. We are happy to see DVA patients too. Sharp, cracked or broken teeth, or have had a filling fall out? Maybe you have a missing tooth and are now finding it difficult to chew or smile with confidence. Our experienced dentists can help you with cracked tooth repair or replacement of damaged or missing teeth. We aim to get you out of pain as quickly as possible. Our dentists have a combined experience of over 30 years. Call today or book online to see one of our experienced dentists. Full and Partial Dentures Are An Affordable Solution To Missing Teeth. 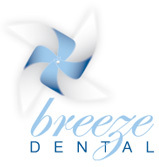 The team at Breeze Dental Gold Coast in Helensvale, prides itself on providing gentle, quality, professional dental treatments. Below is a video courtesy of Colgate regarding information relating to your teeth. Enjoy! For more information on how we can help you achieve a healthy smile that looks great, please do not hesitate to contact the professional and experienced Gold Coast Dentist team here at Breeze Dental in Helensvale. We can’t wait to see you soon!